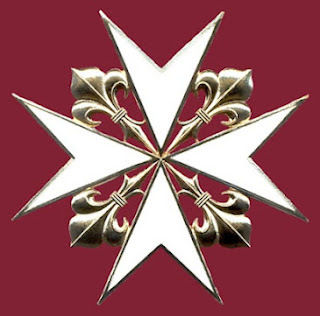 The phrase Dei Gratia, is part of the title of the monarch of Great Britain. By the grace of God, she reigns. Now, Americans have a hard time with this overlap of religion and politics. 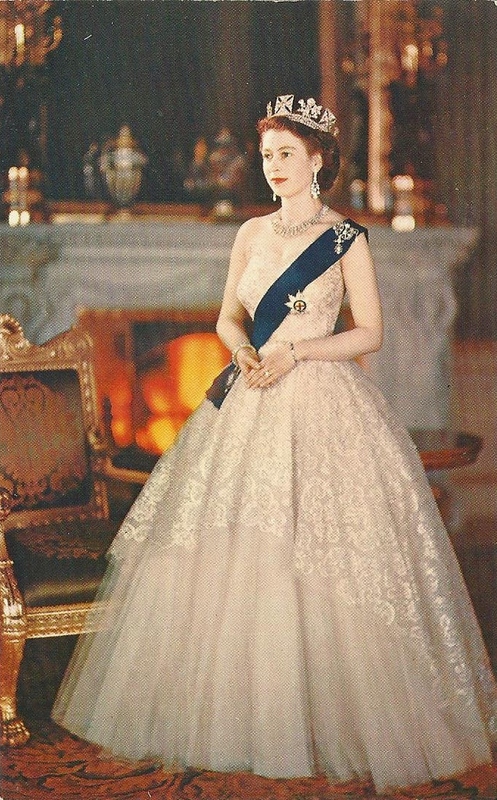 And, this weekend's amazing celebration of the Diamond Jubilee of Queen Elizabeth I, brings out all the pomp and circumstance, religion and nationalism. The existence of a monarch, who does not represent a political party, is a great symbol of unity for the people of Great Britain. I find it interesting that the nation is responding so wonderfully to this celebration. For some, it is just a long, four day weekend. For others, it is a real day of celebration. The countryside lies under miles of bunting. There are parties everywhere, and I hope, on Monday, to witness live the lighting of at least one of the beacons. If any of you saw The Lord of the Rings and the lighting of the beacons, that originated here in England as a warning for invasions. Thousands of beacons will be lit on Monday night as part of the Diamond Jubilee celebrations. Here is a link for that. There is an interactive beacon map, which is really cool. 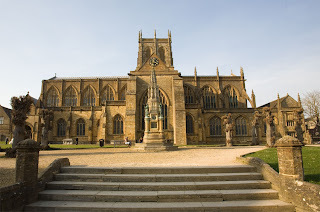 I attended the Jubilee Celebration concert at Sherborne Abbey on Saturday. 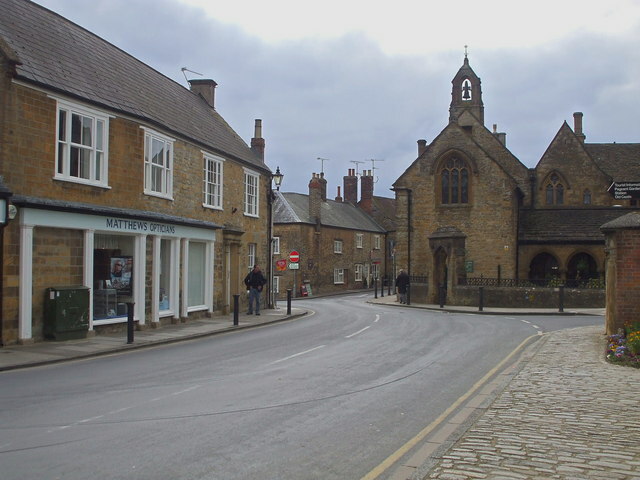 I lived in Sherborne for three years and love this area so much. I know the Abbey well, as we lived in the precinct area, and I felt quite at home. 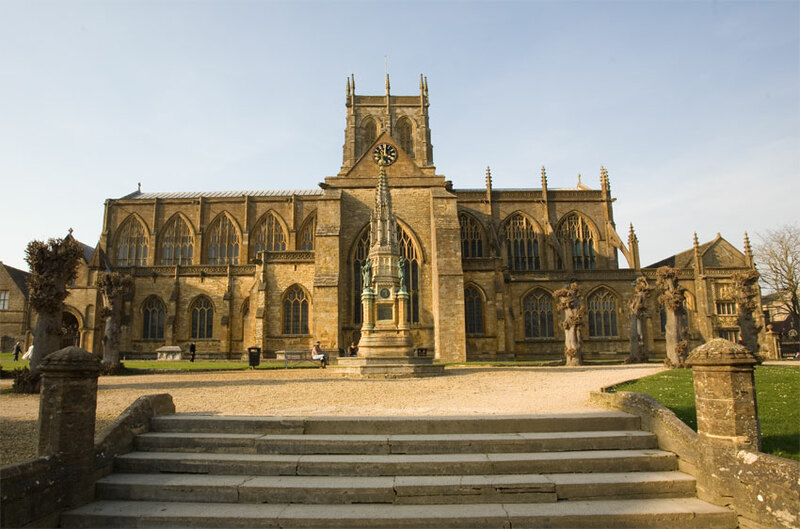 The Sherborne Chamber Choir, Sherborne Abbey Choir and orchestra, with Conductor Paul Ellis, gave us a superb evening of music. The program included what one might expect at such a concert: Parry's "I was Glad" and "Blest Pair of Sirens", Vaughan William's "The Old Hundreth", Walton's "Coronation Te Deum" and "Crown Imperial", Handel's "Zadok the Priest", Orlando Gibbons "O Clap Your Hands", Rutter's "This Is the Day". Mealor's "Ubi Caritas" (this was the first time I have heard this in concert), Elgar's "Coronation Ode", and Britten's arrangment of the "National Anthem". Only Anglophiles could handle such an evening of pure monarchism. But, we were all reminded by one of the readings, that it is only by the Grace of God that this present, and all monarchs reign. How appropriate this reading was in this ancient home of the Benedictines, Sherborne Abbey. By the way, some of you may not know that St. Stephen Harding, one of the founders of the Cistercian Order, came from Sherborne. I have been visiting a friend I have known since 1991, which is a treat, as she is a very spiritual person and we can talk about God and the Holy Spirit working in our lives. 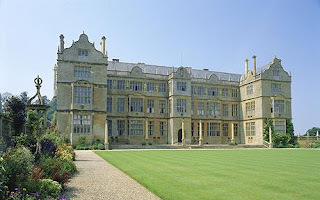 On Saturday, we went to Montacute, as we both have National Trust Memberships. This is, I think, the fourth time I have been there. 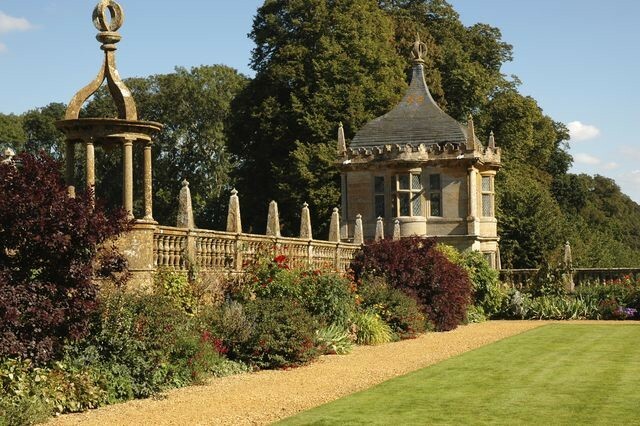 Montacute is one of my favorite houses and set of gardens in England. I love this period of history. Out of all the treasures, the real beauty, for me, is the National Portrait Gallery's show of paintings. I love the Long Gallery, the longest in England, and have my "must sees" there. The must sees today included Blessed Margaret Pole, so my week began with her and ended with her. How is that for synchronicity? How blessed was I to start the week in Sussex where Blessed Margaret's Mass was celebrated in the Arundel and Brighton Diocese, and then to see her fantastic painting at Montacute? I did not even know her portrait was there until I visited this time. I wanted to see St. Thomas More's famous portrait, which I did , and I wanted to see Sir Walter Raleigh's and Bess Throckmorton's. I saw the two famous men, but Bess's portrait was not there. However, to see the Last Plantagenet was not an accident. I shall claim her, now, as a personal patron. 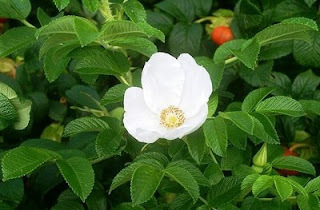 I have seen the gardens in several seasons, including winter. Today, the yellow irises were glorious and the famous hedge cut to strange Tudor and Jacobean shapes. Some houses are more peaceful and pleasing than others. Montacute leads my list of peaceful houses and restful gardens, and I highly recommend going soon, as the roses, except for the White Rugosas, have not yet bloomed. My only sligh t disappointment was that there were no sheep in the wilderness area, a first for me there. I wonder, are there no more sheep at Montacute? Another highlight was the millefleurs tapestry of the 15th century. I cannot help but re-print here an entire article on this outstanding example of the thousand flowers genre of tapestries. I think Blessed Margaret is happy knowing her portrait is in such good company, even though she was definitely not appreciated by the reigning Monarch when she was alive. One of the rarest treasures of the National Trust is a millefleurs tapestry of a French knight on horseback at Montacute House in Somerset. The tapestry has nothing to do with Montacute, having arrived there recently and by chance, but the knight was involved in a turning point of European history, and the tapestry made at the end of his life in 1481 celebrates his triumphs in fifteenth century war and politics. The knight has been identified as Jean de Daillon, Seigneur du Lude and Governor of the Dauphine, by the coat of arms in the top left hand of the tapestry - 'Quarterly, in the first and last azure, a cross engrailed argent; in the second and third, gules fretty or, a canton argent charged with a crescent sable; and as an inshield, gules, six escutcheons or.' Jean de Daillon's parents were of noble extraction, the crosses of Daillon he inherited from his father and quartered them with the crescents of his mother's family, but they were not eminent and no text explains why, as a child, Jean came to be a playmate of the dauphin - the future Louis XI. They understood one another well. If Jean of necessity outdid Louis in charm, and Louis was the master of intrigue, they shared the same self-interest. In his letters to Daillon the King repeated what must have been a childhood catchphrase, part affectionate, part cynical, 'Take care of Maitre Jean and I'll take care of Maitre Louis'. Both men spent their youth as knights at arms. In the 1440's they were in the south suppressing the rebellions of Jean IV d'Armagnac and the Swiss. Daillon's first lordship, however, was gained not by war but by his marriage in 1434 to Renee de Fontaines, which made him Seigneur de Fontaines. In 1445 he became Chamberlain to the dauphin and Captain of Roussillon in the Dauphine. At this point Louis began to feel that his father Charles VII did not appreciate him sufficiently and he grew impatient to be king. 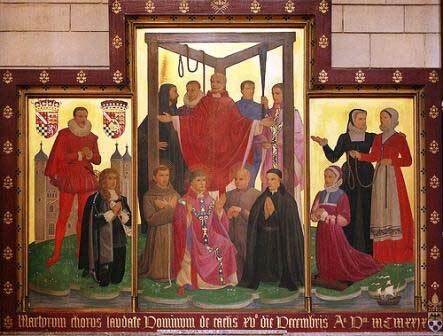 Daillon joined his intrigues and was banished from court in 1446. It was around this time that he appropriated the lands and insignia of an ancient Angevin family called Mathefelon. Although the family was not extinct, La Cropte (including Melsay and Leval) fell into Daillon's hands and their arms - six gold escutcheons on a red ground - were added as an inshield to Jean de Daillon's arms. Their first appearance in this form was on the seal of a document dated 1451, and this is how they appear in the Montecute tapestry. In 1457 Daillon, who already had a part of the lands of Lude on the upper Loire, seized the rest from Guy de Carne and became Seigneur du Lude, his chief title from then on. Two years later he married Marie de Laval (the date of his first wife's death is not known) with whom he had two sons, Jacques, who inherited Lude, and Francois who inherited La Cropte, and three daughters Jeanne, Louis and Françoise. Daillon was back at the court of CharlesVII at this time, having left the dauphin in 1452 and made his peace with the king. He was made Captain of a hundred lances and took part in the battle of Castillon which finally drove the English from France and put an end to Henry VI's lingering claims to the French throne. With the restoration of peace Daillon was reorganising the army. Meanwhile Louis was living in Flanders under the protection of Duke Philip the Good of Burgundy, both men waiting for Charles VII to die. When he finally did so in 1461, Louis XI was crowned at Rheims and entered Paris in triumph with Philip of Burgundy at his side. But Jean de Daillon took no part in these festivities and had to wait until 1466 before he and Louis XI were reconciled. He then returned to his natural position as Louis' confidant, and earned from him the nickname 'Maitre Jean des habilites.' He managed to achieve a happy balance between the king's interests and his own aggrandisement. Comines described him as 'Monseigneur du Lude who got on so well with the king on all occasions and who so loved doing well for himself.' He was Baillif of Cotentin from 1470-3, Governor of Perche and Alencon, and then Governor of the Dauphine from 1474. That year he also acted as Louis' ambassador to negotiate the Treaty of Perpignan with the king of Aragon (which re-stored Rousillon to neutral status after its occupation by French and Spanish armies). The following year at the opposite end of France he served as ambassador to the Flemish Count of St. Pol, to try and fix this powerful noble's vacillating loyalties away from Burgundy and onto the French side. Jean de Daillon did benefit from this turn of events, both personally when the confiscated lands of the Duke of Nemours (Conde, La Ferte-Milon, Luzarches and Domfront) came into his hands, and as a lieutenant of the king as he pursued his campaign against the Flemish border towns. Arras, after much privation, fell in May 1477 and Jean de Daillon Became Lieutenant du Roi for the city and made out of it '20,000 crowns and 2 martens skins.' In nearby Tournai, which had been the independent fief of its archbishop, another intimate of Louis XI led in the troops and Cardinal Archbishop Clugny fled to Bruges. Daillon confided to Comines that he hoped to become Governor of Flanders 'and be made of gold.' This did not happen. Although France annexed Picardy and Artois, Flanders and the Low Countries remained fiercely loyal to the Burgundian connection, and when the Duchess Mary married Archduke Maximillian of Austria in August 1477 their freedom from France was guaranteed. To William Desreumaulx, tapestry weaver, who had agreed with Monsieur du Lude, Governor of the Dauphine, to make a tapestry of verdure for a room, the said tapestry being a gift and present made to the said gentleman by the city, in recognition of divers past favours and acts of friendship he has made to the aforesaid city…. on the price of which agreement, it has been ordered to be paid to the said William to advance and expedite the work of the said tapestry the sum of 70 livres. A further payment to William Desreumaulx refers to the tapestry given to the Lord of Lude 'which he has had made in several and divers pieces measuring no less than 457 square ells', and Jerome de Callonnne was sent as inspector for the magistrates to 'the workers who made the tapestry in several different workshops, where he had to ensure that the materials used I in its making were of the right quality, and received payment for his great pains.' 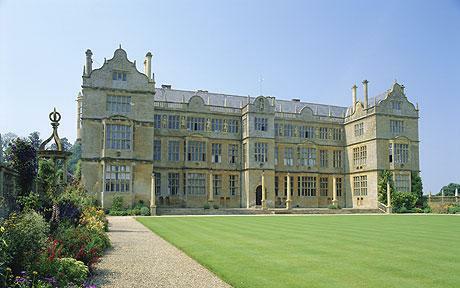 All of which indicates that the Montacute tapestry was originally one of a series. Jean de Daillon never received the tapestry which sanctified his fierce and acquisitive life in art form. He died in Roussillon in 1481, and in December 1482 the Tournai archives recorded receipt of letters from his widow, asking that the tapestry be handed over to Pasquier Grenier on behalf of herself and her children. Delivery was finally made in April 1483 when the Bishop of Sens, brother of the widow, made a visit to Tournai which proved rather expensive for the magistrates, and took possession of the tapestry for his sister. What of the other dramatis personae involved in its making? William Desreumaulx was one of the leading master craftsmen of Tournai, but Pasquier Grenier was a great merchant entrepreneur who first flourished when Philip the Good was Duke of Burgundy. He was based in Tournai and probably contributed greatly to its rise to pre-eminence among the Flemish tapestry towns in the second half of the fifteenth century. Commissions for tapestries from the court and other wealthy patrons were entrusted to him. He could employ the artist designers and distribute the work among ateliers specialising in the style required and offering the best terms. In 1459 he delivered a series of the Life of Alexander the Great, and in 1461 the Passion of Christ. 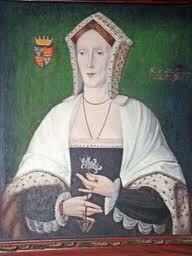 The story of Esther and Le Chevalier de Cygne both followed in 1462. In 1472 he was responsible for the Trojan War series bought by the by the city of Bruges for Duke Charles the Bold. Pasquier Grenier was also a wine merchant, well acquainted with the trade routes of northern Europe and the workings of the great ports of Bruges and Antwerp. He could organise the necessary supplies of wool, silk, gold and silver and could wait - because of his own capital and banking credit - for deferred payment. This procedure had already been established in the golden days of Arras under Duke Philip the Bold (d. 1404) when Hughes Walois and Jean Cosset joined the commerce in wine and tapestry. Each year for twenty years Cosset provided one or several tapestries which he contracted from different workshops. He even set up an atelier at the Duke's fairy-tale palace of Hesdin in Picardy to make a series, 'Douze pairs de France', in situ. The Italian connection was at Bruges in the hands of patron/entrepreneurs such as Giovanni Arnolfini and Tommaso Portinari. As for the English connection, since 1393 when Richard II and his uncles of York, Lancaster and Gloucester all received tapestries from Philip the Bold, the Dukes of Burgundy had wooed the English with tapestries. When the ducal line died out and the French wars were over, Henry VII decided to buy his own tapestries. In September 1486 he gave his protection to 'Paschal and Jean Grenier merchants of Tournai in France' and allowed them to import into England 'cloths of Aras, tapysserie werk and carpets'. In March 1488 he told the Bishop of Exeter, Guardian of the Privy Seal, that he had bought from Jean Grenier '2 alter clothes and 11 pieces of cloth of Arras of the history of Troy', expected at the port of Sandwich, and asked the Bishop to ensure that Grenier had to pay no customs duties. Henry VII's Trojan War tapestries were a copy of those commissioned in 1472 by the city of Bruges for Charles the Bold, which were also organised by Pasquier Grenier and woven in Tounai. The surviving examples show interesting stylistic links with the Montacute tapestry. The richly decorated caparison of Jean de Daillon's horse is very like those of the Greek and Trojan warriors, including the unusual leather cabochon behind the rider on the horse's back. The standard which Daillon carries with it's appropriate ravening wolf and long fluttering pennants corresponds in style to the standards of the Greek warriors - their favoured animal was a lion. Even the monogrammed pennants also appeared in the tapestry of the Fall of Troy, now lost. Fifteenth-century tapestries often contained a monogram, and very few can be easily identified as the initials of the patron. In the Montacute tapestry the 'J' which appears on the pennants and the horse's caparison could well stand for Jean but the 'E' is unlikely to be simply the second letter of his name, any more than it would be in modern initials. Nor does it correspond with either of his wives' initials. After the fall of Constantinople in 1453, Philip the Good adopted the mysterious monogram EE, which was variously explained as the initials of a lady love, of which he had many, or a secret motto. Possibly it stands for Eques Ecclesiae, in reference to his unfulfilled longing to be a crusader - and by the same token the Montacute initials could be Jean Eques, enhancing the whole atmosphere of the tapestry which, did one not know otherwise, is that of 'a verray parfit gentil knight'. No similar tapestries of a knight on horseback survive, and it is impossible to estimate how many there may once have been. In the inventory of Henry VIII's possessions at Hampton Court is listed 'One odde pece of Tapistrie having on it a man pictured in harneys (armour) on horseback'. And his other collections included two pieces 'having a man armed on horseback with a border of bells at the top' (bells feature in other early sixteenth-century tapestries attributed to Tournai and in the Montacute tapestry they adorn the horse). Pierre de Rohan, Marechal de Gie, had a series of tapestries in his chateau at Verger in one of which he appeared like Daillon, in armour on a superbly decorated horse. The inexplicable initials on the standard and the horse are two 'F's facing one another. The background is not a millefleurs, but is decorated with his insignia - a pilgrim's staff and cockle shell. Armorial tapestries had been in vogue since the beginning of the fifteenth century. The early ones were sometimes simply saddlebags or bedcovers. In Brussels so many knights had ordered armorial tapestries and then proved unable to pay for them that the ateliers were selling them off, until in 1411 an injunction forbade them to do so without the consent of the owners. When the great chancellor of the Dukes of Burgundy, Nicholas Rolin (d. 1462), had his armorial tapestry made the background was covered with the keys of Rolin and the castles of his wife Guigone de Salins, while the centre contained the Lamb of God with the symbols of the Crucifixion. The first known armorial tapestry to feature a millefleurs background was commissioned by Philip the Good from Jehan le Haze of Brussels (an important tapissier like William Desreumaulx of Tournai) and paid for in 1466: 'For 8 pieces of verdure tapestry worked in gold, silver and silk and fine woollen thread; and in the centre of each of the said pieces are the arms and crested helm with wreath and lambrequins of the said seigneur, and in the corner of each the device of monseigneur and four pairs of EE coupled'. Another superb armorial millefleurs that still survives contained the arms of John Dynham (who contrived to serve every English king from Henry VI to Henry VII). It has the order of the garter surrounding his arms and since he received this in 1487 or '88 the tapestry may have been made mark the honour. 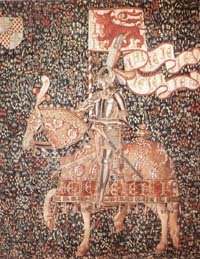 Although it has its precursors, the tapestry of Jean de Daillon is now unique in combining a millefleurs background with a knight on horseback complete with arms, monogram and insignia. Millefleurs or verdue tapestries were very popular and many survive. They are distinguished by the flower-scattered back-ground which obviates normal perspective and proportions. 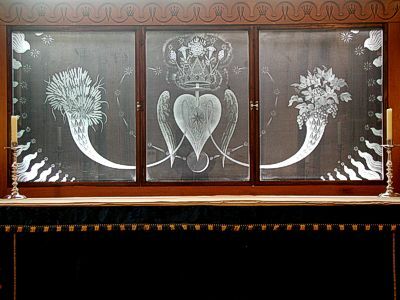 The style continued into the early sixteenth century and survived alongside more apparently sophisticated tapestries where people move realistically through landscapes and buildings. Millefleurs tapestries vary greatly, from highly stylised flowers repeated in strips to exquisitely individual and botanically identifiable plants. In Brussels in 1476 a dispute between weavers and artists resulted in a transaction whereby weavers established their right to design 'trees, boats, animals and grasses for their verdures', but were obliged to employ professional artists for the rest of the design. No doubt similar rules applied in the other tapestry weaving centres, and rendered possible a degree of mass production in popular lines such as armorial millefleurs. Philip the Good's millefleurs at Berne has the pattern repeated twice, but the flowers are finely observed and recognizable. There is no repetition of the pattern in Jean de Daillon's tapestry, and all but a few of the flowers identifiable. The background teems with heavy-headed poppies and trumpetty daffodils, scillas, wallflowers and thistles, while a few plants appear only once or twice, such as the honeysuckle under the horse's reins, and the fritillary behind its tail. Jean de Daillon as he appears in the chronicles of France was a man of some charm and great greed, but in such a tapestry he can be nothing less than a figure of high romance. The need to destroy evil is the subject of this post. Evil cannot be ignored or tolerated. It must be defined and addressed. In these days of relativism and individualism, false tolerance and the acceptance of evil in our midst, it is difficult to explain to Catholics that they must stand against evil and not merely do nothing. I had a long series earlier in May on the heresy of Quietism. The opposite is accepting the fact that through Baptism and especially Confirmation, we are all soldiers of Christ. Sorry, there is no pacifism in the struggle against evil in the Church. Either we are doing something, albeit this could be quiet, yet sustained prayer and fasting, like the call of the contemplatives, or we lose the battles. And, what are these battles? We fight for the salvation of souls. Our soul and those of our families, our friends, our fellow parishioners, those with whom we come into contact make up the battlegrounds against evil and for good. The goal of humanity is eternal life with God. I am challenging all who read this blog today to ask themselves, each one of you, "What am I doing to combat evil and bring about good in this world, with a view to eternity?" I am sure we shall be asked a similar question at our particular judgement. We start with ourselves. We allow God to be God. We open ourselves up to God and His Grace, His Plan, His Love. Then, we step out in Faith, Hope, Love and all the virtues to bring light into the darkness. Visiting England, the land of the martyrs, is inspiring. We are surrounded by the "cloud of witnesses". We know what to do and how to do it. We merely need to say "yes" to God and give Him our lives, daily.